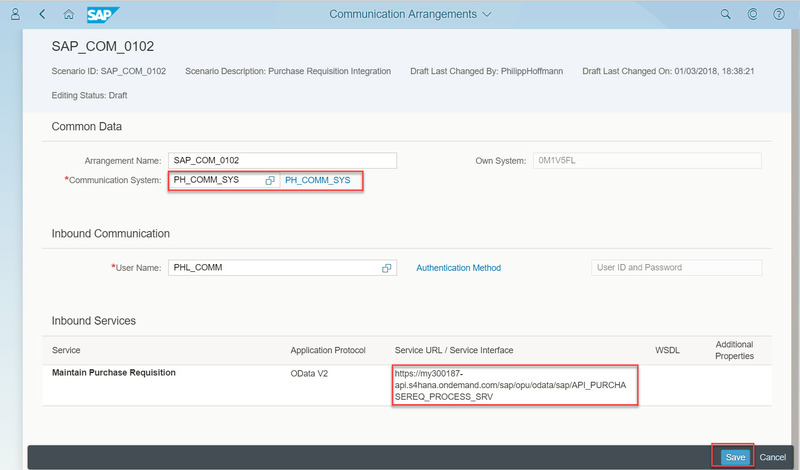 In the last months I was involved in a couple S/4HANA Cloud (S4HC from here-on) projects, where I supported integration topics. Recently I got a number of requests, to give an overview on S4HC Integration. After some theoretic talk I like show the following example, which illustrates nicely how quickly integrations with S4HC can be build. The customer I worked with in this case had purchased a S4HC Version, which could create Purchase Requisitions (PRs) as well as Purchase Orders (POs), but did not had the more “advanced” capabilities like MRP. Neverthless they had plenty of materials, which needed frequent replenishment and were not very excited by the thought of having to create 50+ PRs manually each day. Changing the S4HC version was not an option, so the idea was, to build some simple tool outside the S4HC system and integrate it via APIs. 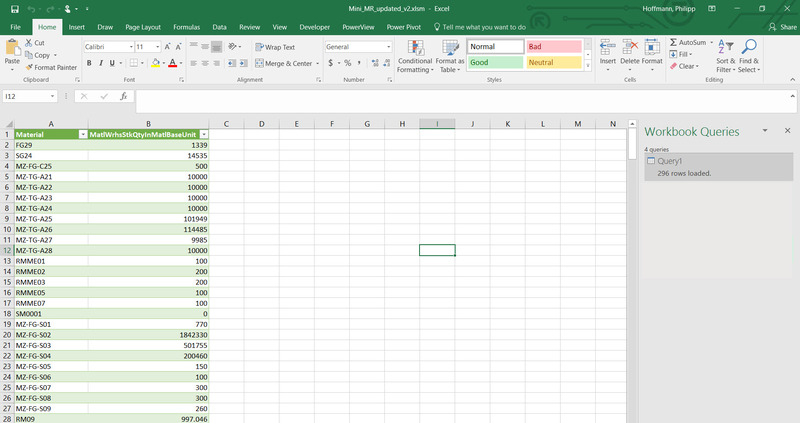 To show them the possibilities I put together a PoC using Excel as a frontend. 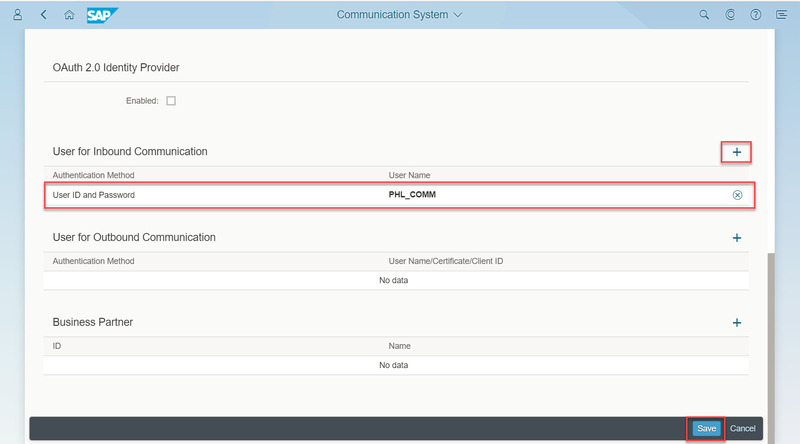 To create a Communication System (which is more a formality for API call scenarios) I use App “Communication System” – I enter a creative name for “System ID” and “System Name” and put “localhost” for the “Host Name”. 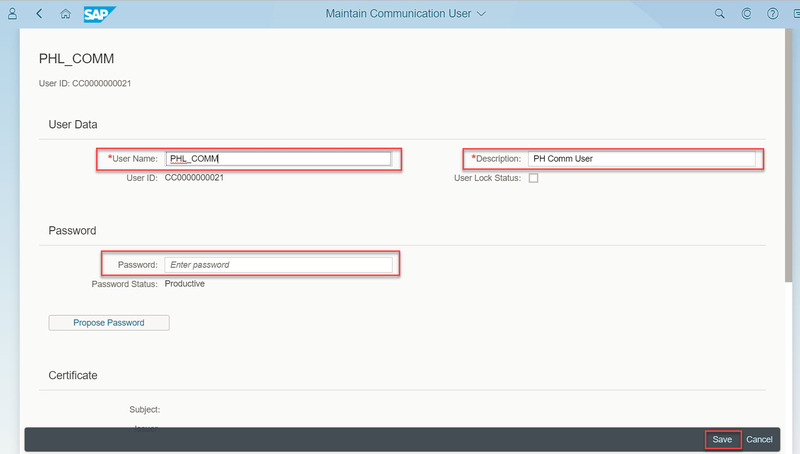 Finally I assign the Communication User I just created as Inbound User and save the Scenario. That’s it, all Prep Steps done – we are ready to start with the the fun part! First I need to create the Custom CDS view, showing the material inventory. I open the App “Custom CDS Views“, which can be found in the group “Extensibility”. I have to find a useful standard View containing inventory information, which I can build my Custom CDS view on. Usually you will find some good candidates when using the Open Search in the top. First I tried “Inventory” – not very promising results. Next I search for “Stock” and it brings up a good candidate with the very promising name “I_MaterialStock”. After selecting the View “I_MaterialStock” and clicking ¨Create¨ I give my newborn Custom CDS View a Name and Label and mark the ¨¨ODATA¨ checkbox. Marking this checkbox will allow me to publish the Custom CDS view outside the borders of the S4HC system and view it’s data from any web-browser in the world – exactly what we need. 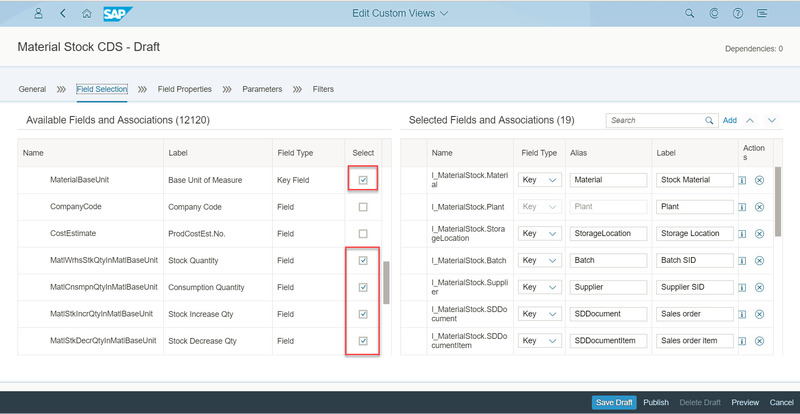 The standard view has 100s of fields, but I only need some material info plus the inventory – so I only select 4 required fields and also include all the key fields – otherwise the CDS Views tend to misbehave / aggregation is not working correctly. 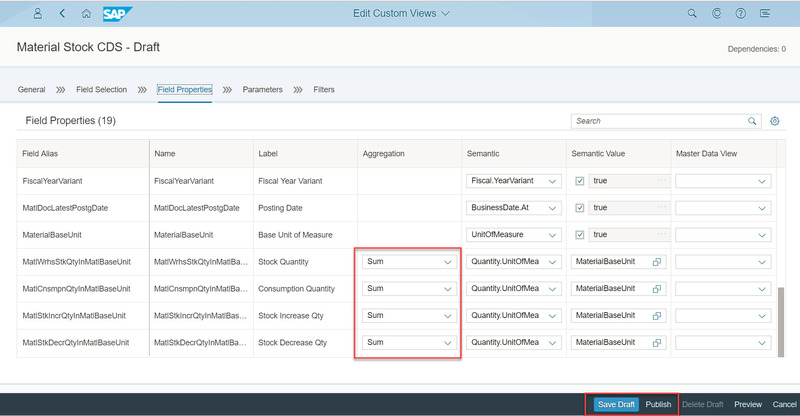 As I am interested in latest stock levels I use aggregation, which I can configure on the tab “Field Properties”. Afterwards we save and publish. 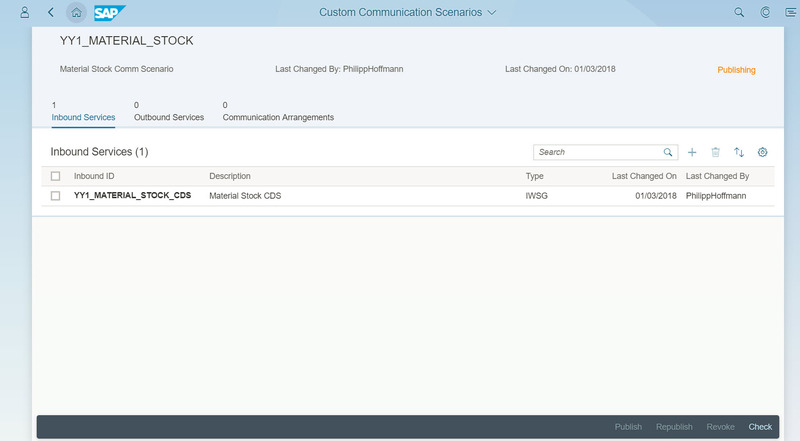 To expose the view outside the S4HC system I need to create a “Custom Communication Scenario”, which I can do in the app of the similar name. Next I will add the Communication System I created earlier and very importantly take note of the Service URL, which I can use to access our newly created API. Finally I Save and release a sigh of joy as I have created our first API. Let’s give it a test by trying to read the inventory. Later I will do this in Excel, but for now I will use a simple browser. It’s best to open a new Browser Window in incognito/private mode, so we don’t use any existing session – because I need to login via the Communication User I have created. I enter the URL from the last step and it’s typically helpful to add the “?saml2=disabled” parameter to the URL, to avoid any issues with SCI or other SAML authentication systems. It’s also important that I click Cancel in any type of Certification Selection Dialog. This should bring up an Authentication Dialog where I can enter the topsecret credentials from the Communication User I have created. 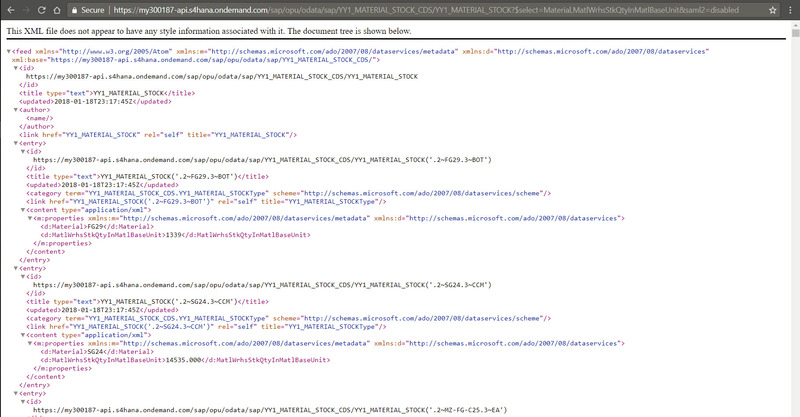 If everything works I should get an overview about the Objects in our oDATA service. I just have one Object. I find the href parameter for that Object and add it to the URL. With the extended URL I trigger the browser again and might have to wait for a bit as the CDS view returns thousand of records.Voila, we see some inventory records. Usually the browser will show it nicely XML formatted (or also in JSON if you add parameter $format=json) – but at least on my Laptop Chrome struggles, because there are sooo many records – I should definitely create my first purchase requisition for a new laptop when all is done. This is a bit simplified, in case you have multiple plants, want to filter out certain stock types you would further add to the select. 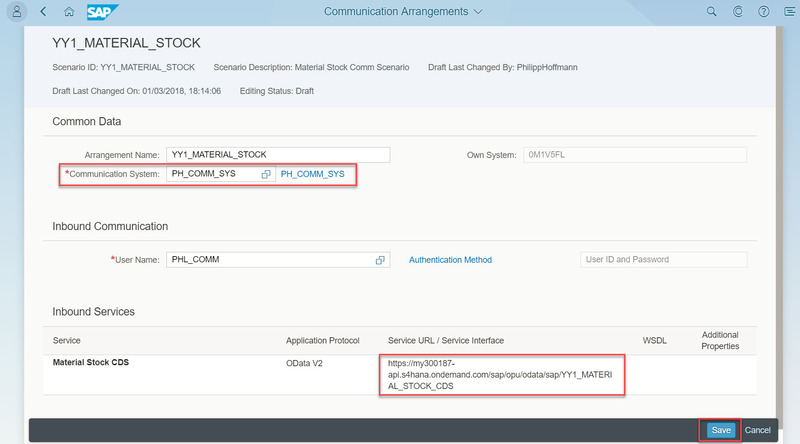 After setting up the API to read inventory we also need to setup the API to create the PRs. This is much more straight forward, as we are using a Standard Scenario and don’t need to create all the Custom Objects. Again I open App “Communication Arrangement” and click Create. 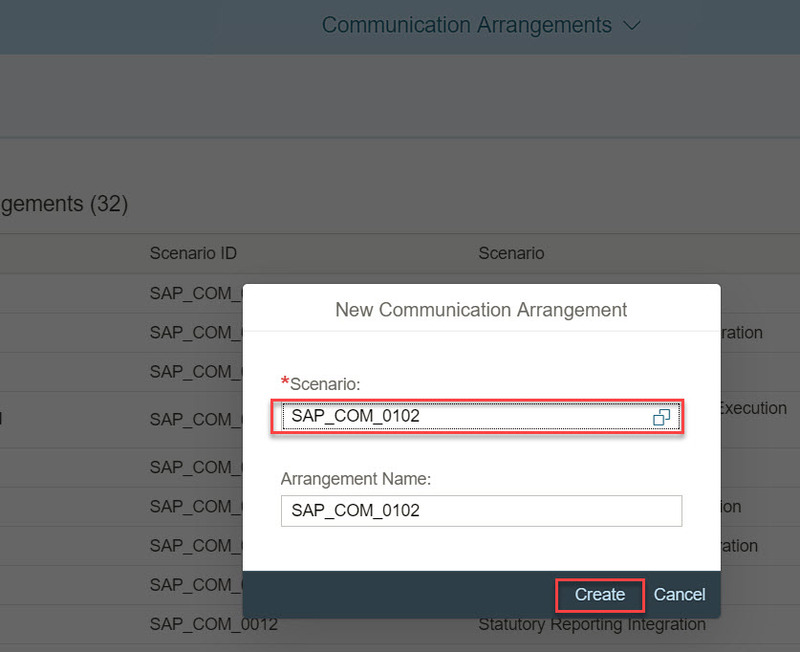 This time I pick the standard template scenario “SAP_COM_0102”. In the maintenance screen I just have to add the Communication System, which will automatically fill the Communication User Name. Finally we Save and learn the Service URL by heart for later use. If I test that Service URL in a browser (again make sure to cancel Certificate Dialogs and use the credentials of the Communication User we created), I will see the different objects, the PR API provides.With a little research in the API catalog (you remember it’s available at api.sap.com) I found, that A_PurchaseRequisitionHeader is the object I need to create a PR and in the XML we see that we can use A_PurchaseRequisitionHeader/to_PurchaseReqnItem for the item information. Make sure to cancel any Certificate Popups you might see – finally Excel complains, that it can not authenticate. I switch to the Basic Tab and enter the credentials of the Communication User (after entering them for so many times I know the 64 digit random password now by heart!). Again I will need a bit of patience, because Excel will reach out to S4HC and fetch a sample the Inventory information. The Sample looks spectacular, so I click Load and Excel will load a table with the complete inventory records. 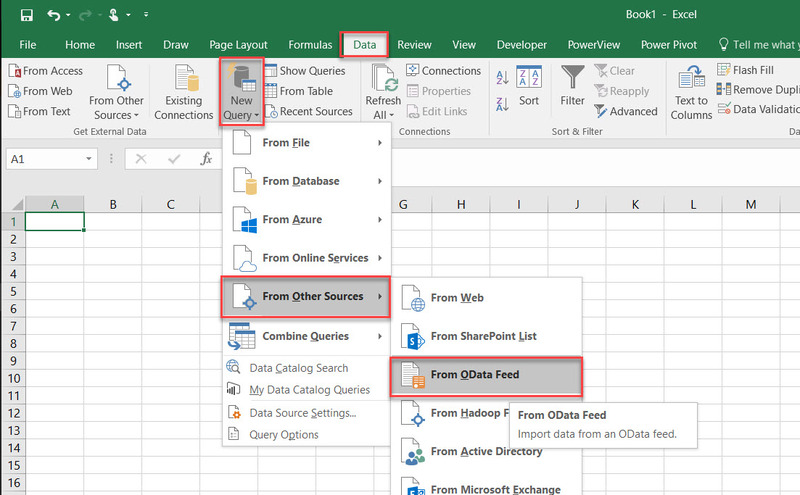 Tip: You can save this Excel locally and reopen and refresh it at a later time to get the latest data. S4HC customers don’t have the possibility to quickly dump the data of a table via transaction SE16 into a file. 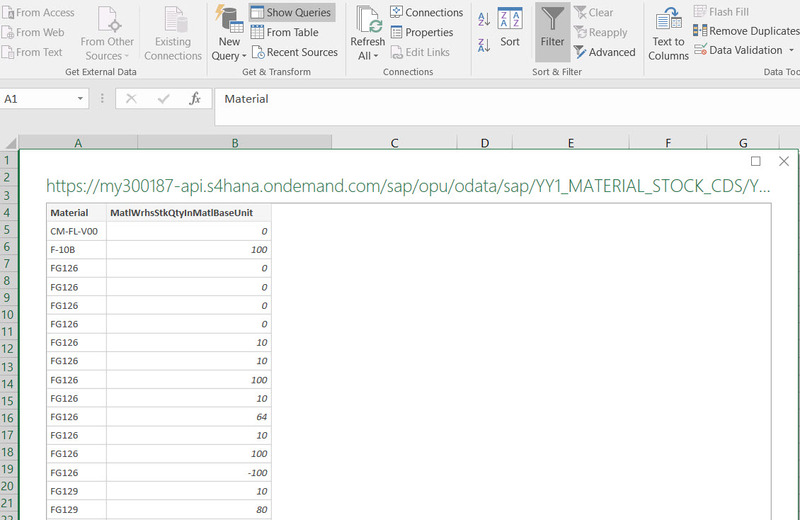 Using this Excel oDATA Adapter and the Communication Scenarios is actually an alternative to quickly extract Data from a S4HC systems – I have used that multiple times for example to allow customers to get access to all the BP data via Communication Scenario SAP_COM_0008. Const SHEET_TITLE_MATERIAL = "2. Comp Quant<->Reorder point"
Const SHEET_TITLE_PR = "3. Trigger Re-Ordering"
While Sheets(SHEET_TITLE_MATERIAL).Cells(n, 1) <> ""
Sheets(SHEET_TITLE_PR).Cells(out_row, 4) = "Creating PR..."
To get the XML for the body of the PR API call needs a bit trail and error work, but can be done using the XML fragments we collected when doing our test calls earlier and the documentation from api.sap.com. I ended up with the following XML (with Placeholders for Material and Quantity). 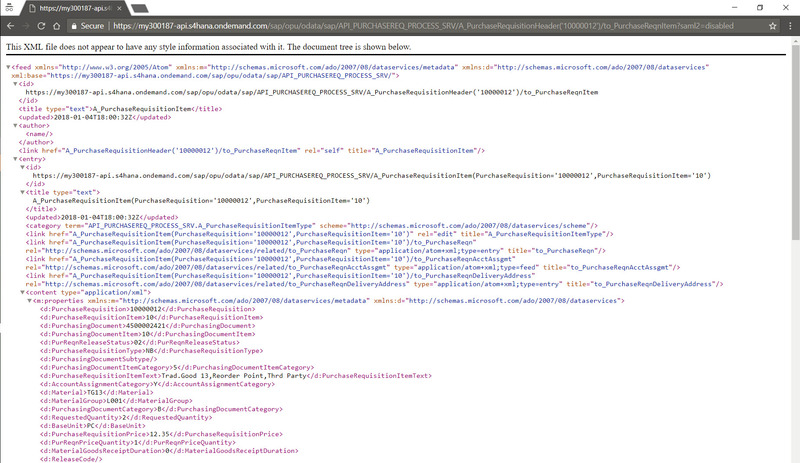 I good tool to play around to find the right XML format for the body is Postman. That’s it, all parts of the PoC are done. I created a bit of Eye Candy in the Excel (Buttons, Tabs,..) and the PoC was ready for showtime. You can download the Excel from from here to play around with it yourself. To keep my system admin happy I have changed the password of the communication user, so the Excel will not be functioning out of the box. 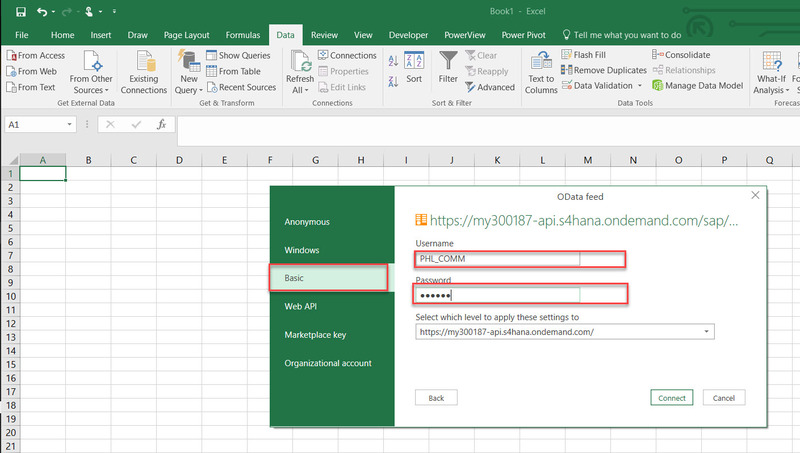 Once you have created the APIs on your own S4HC system you can nevertheless update the PW and URL on the forth tab of the Excel Workbook and should be able to create some crazy PRs on your system. An Excel based frontend is not very stable and it would be better to implement the logic in a tool like SAP SCP. Neverthless the PoC shows integrating with S4HC is quite easy and thanks to the Customer CDS and Standard Whitelisted APIs there are some nice opportunities to build extensions to S4HC – hopefully this tutorial has given you some inspirations. Whilst I wonder why MRP was not used to create the Purchase Requisitions , your blog is excellent! Very informative and easy to follow . I found your blogs by searching for I_MaterialStock ( https://www.qwant.com/?q=I_MaterialStock ), it was one out of 3 hits. After I see this working, the next step will be that I’ll create a vustom CDS-view – yeah, exactly what you did, just that I’ll used AdT (ABAP Development Tools in Eclipse), for my OnPremise backend 🙂 . So, nice to see how the same tasks are done ‘in the cloud’ vs. ‘onPrem’. thanks for the excellent feedback. I just re-checked and the aggregation actually seems to work correctly now (it had some issues earlier in 2017). On the side I also noticed that I had used the wrong Column when creating the screenshots (MatlCnsmpnQtyInMatlBaseUnit instead of MatlWrhsStkQtyInMatlBaseUnit). I updated the Blog accordingly. I think only issue that i see here is that not all data sources are made available to build CDS views , I have some scenarios like creating custom CDS and adobe form for Production Order , but I am not able to create custom CDS as data source for Production order are missing. 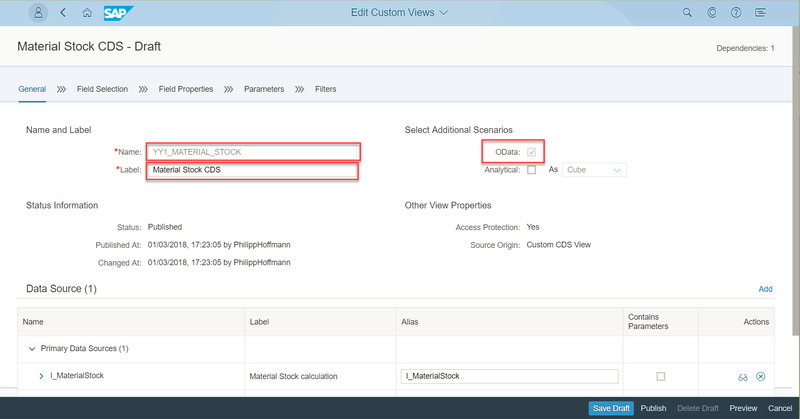 I would expect that SAP should provide access all tables in S4HANA cloud as data source , so that we can create CDS view over it. P.S. There is API for Production Order available but it doesnot have Standard value fields that i need to add to the form. Thanks for the Blog, This is really very helpful. We have a similar kind of requirement mentioned below, can you please let us know if communication scenario can be used in our case? We have built one custom ODATA service by consuming some standard/custom CDS views to get the sales order details. Now this sales order details needs to be send to one of the external system via CPI by using below two options as a triggering point. 1: As soon as any sales order gets created or updated S/4. This ODATA service should get called and send the sales order details to CPI. 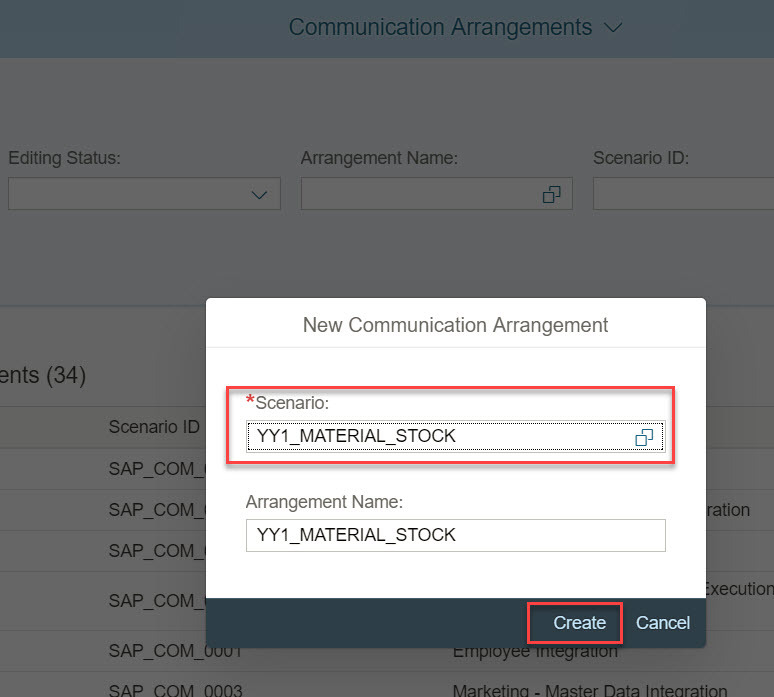 2: A background job can be scheduled which will trigger the ODATA service every 15 mins and send the all the sales order details which has been created/updated in last 15 min in S/4 to CPI. Can you please help me with process to achieve anyone of the above option? Also can you please suggest which one would be better option to send the sales order details from S/4 to CPI? We have checked the SAP standard API but those don’t have all the fields which needs to be send ,that’s why we have went for custom ODATA service development. This is great! 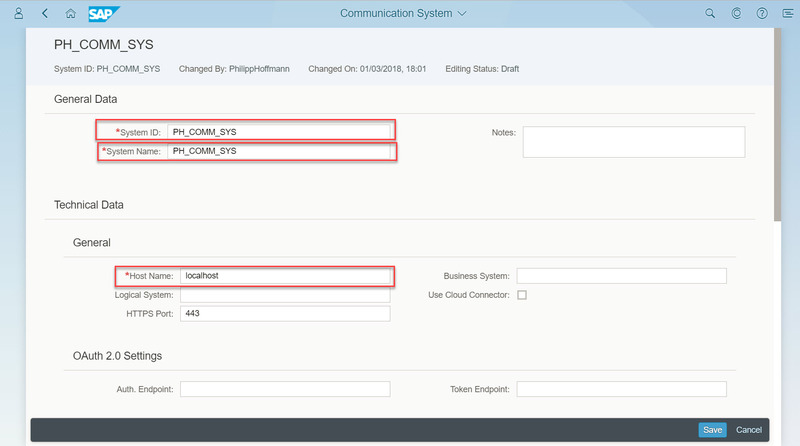 I am directly using your blog’s outline to demonstrate a POC for manufacturing capacities. Thanks for putting this together. Can you please help me with some resolution on this?